In the Pleiades, one of the stars is called Maia. Is it possible that the Maya are from this star system? The Maya believe that the Pleiades is the home of their ancestors. The Pleiades star system, also known as the seven sisters, aligns with the Central Sun, Alcyone, once every 52 years. The precession of the Pleiades in Mayan cosmology is tracked by the Calendar Round (52 years) and the New Fire ceremony. 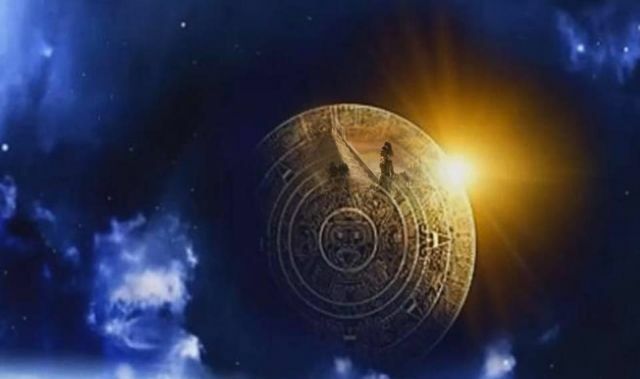 In a previous In5D article entitled, ‘Newly Discovered Artifacts Prove Mayans Had Alien Contact!‘, we have seen the many extraterrestrial and UFO connections with the Maya. Is it possible that these ancestors that are spoken of are extraterrestrial visitors from the Pleiades? Newly Discovered Artifacts Prove Mayans Had Alien Contact! Amazing new Mayan artifacts prove the extraterrestrial connection between the Maya and their galactic visitors. Many people have speculated that the Maya were visited by extraterrestrials and that at least one of their deities, Kukulcan (also known as Quetzalcoatl by the Aztecs), may have been a galactic visitor who taught the Maya about agriculture, mathematics, medicine and astronomy. How else could one explain the Mayan calendar, a calendar that to this day can accurately predict every lunar eclipse within 30 seconds? The Maya knew of planets that were not “discovered” until many centuries later. They were also the first civilization to use the “zero” in mathematics. Interestingly, while Quetzalcoatl was described by the Maya as appearing to be Caucasian, having blonde hair and blue eyes, some of the artifacts appear to have African characteristics, thus giving credence to the hypothesis that our civilization was seeded here from various star nations. WOW Thanks for all of the great info including the video, 4% Central America is my DNA ancestry that led me here and other web sites that showed me the " Cherokee " NA I thought/ knew of my mother's side ( Spindale, North Carolina) shows NA origins being Mayan. They also encountered/ believed in ET's I have encounters with weird events & have been told I possess great powers that I haven't harnessed yet so I kind of "believe" there is more now...thanks again!